With the patented use of magnesium, titanium, aluminum and stainless steel, and hours of testing we have come up with an exhaust system to win races. 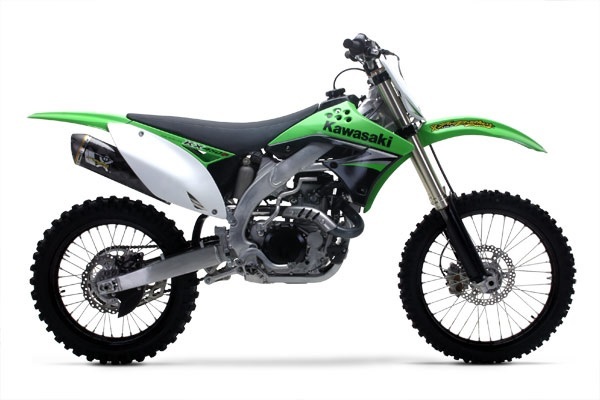 Increased throttle response, more power throughout the powerband, and lighter weight all add up to a winning combination for the KX450F. Now featuring our exclusive patented X-Lite™ retaining ring.